Its officially released. The Apple iOS 7.1 update is now available for Download by all iOS 7 device users. The Apple iOS 7.1 software offers plenty of new features, and a couple of performance improvements and UI enhancements. Both the new models of the iPhone, iPad and iPad Air will really benefit from the many technological advances the software has to offer. 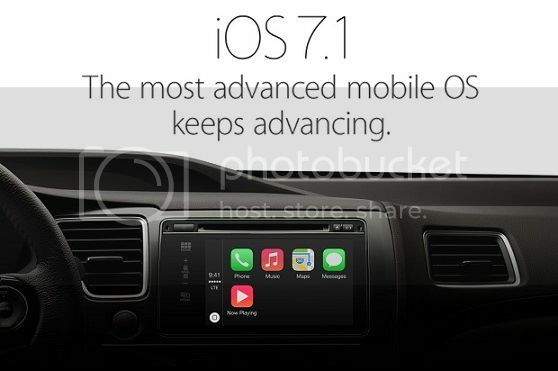 The Apple iOS 7.1 update release made an enhanced the Apple CarPlay, the company’s car infotainment system. Its an iOS user favorite since it allows the iOS experience (complete with Music, Maps, Messages, and other apps) into select new cars released in 2014 and later. Other changes made into the iOS 7.1 version includes manual control of Siri to stop listening, enabling auto HDR for the iPhone 5s, the ability to see calendar events in month view, and many more. The Apple iOS 7.1 release also delivers very substantial boosts in performance especially to the iPhone 4. Launching apps from the homescreen should be noticeably faster. – Then select General, then go to Software Update. All these key additions, plus the many features from the old iOS 7 version, makes this updated Apple iOS 7.1 release a very valuable operating system for use in our iOS devices.